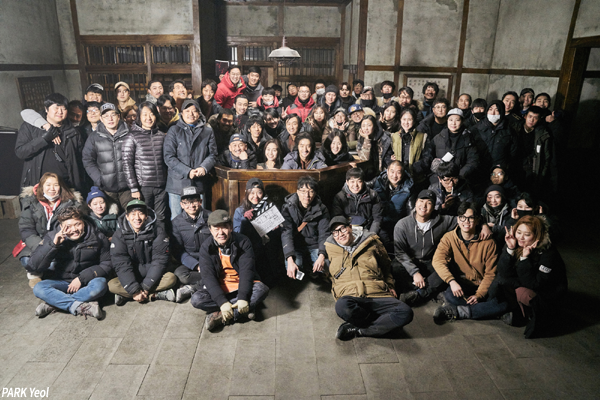 Period expert LEE Joon-ik wrapped his new film PARK Yeol on February 17th, after completing a brief five-week shoot for the project on a prison set in Cheongpyeong, Gyeonggi-do Province. LEE Je-hoon leads the independence fighter drama. Other locations included Busan, Daejeon and Hapcheon. PARK Yeol examines the real life character of the same name, who lived from 1902 to 1974. PARK led the anarchist organization 'The Black Dog Society’ which organized independence fighting movements and planned the attempted assassination of the Japanese crown prince Hirohito during the Colonial Era. Leading man LEE Je-hoon, who rose to prominence in films such as Architecture 101 (2012) before embarking on military service, most recently appeared in the hit TV show Signal and the noir action-thriller The Phantom Detective (2016). The film also stars GWON Yool, a rising name recently seen in The Hunt (2016) and Worst Woman (2016), MIN Jin-woong (The Priests, 2015), CHOI Hee-seo (DONGJU; The Portrait of A Poet, 2016) and PAIK Soo-jang (Coin Locker Girl, 2015). PARK Yeol is the 12th film by director LEE, whose notable credits include the smash hits King And The Clown (2005) and The Throne (2015) as well as last year’s indie project DONGJU; The Portrait of A Poet, also set in the Japanese Occupation Era. Once post-production is complete, PARK Yeol is due out later this year.